If you have not found your way over to Cole’s yet, do yourself a favor and take a trip downtown one afternoon or evening. 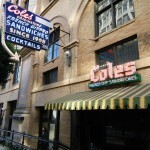 Having originally opened in 1908, Cole’s made its name as the restaurant in the lower level of the Pacific Electric Building where the city’s famous “Red Cars” were based. 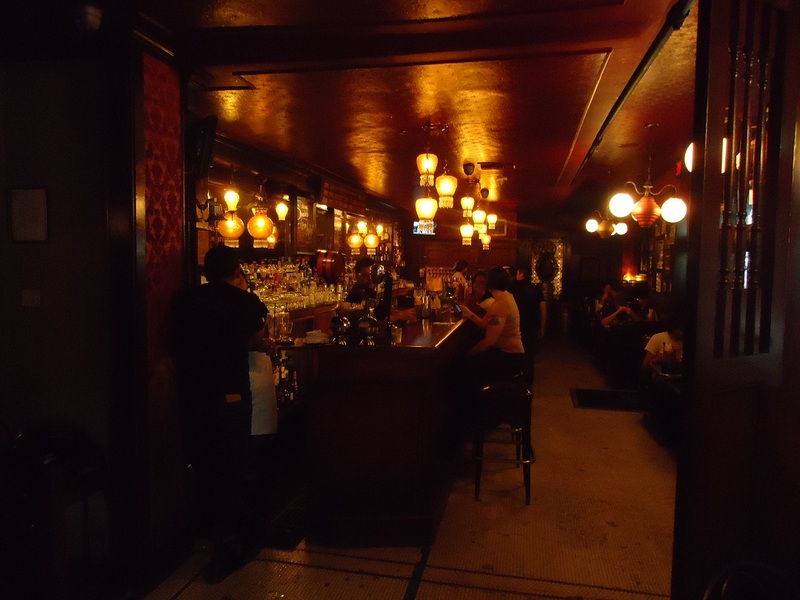 Due to the early date of its opening, Cole’s lays claim to being the oldest bar in the city. 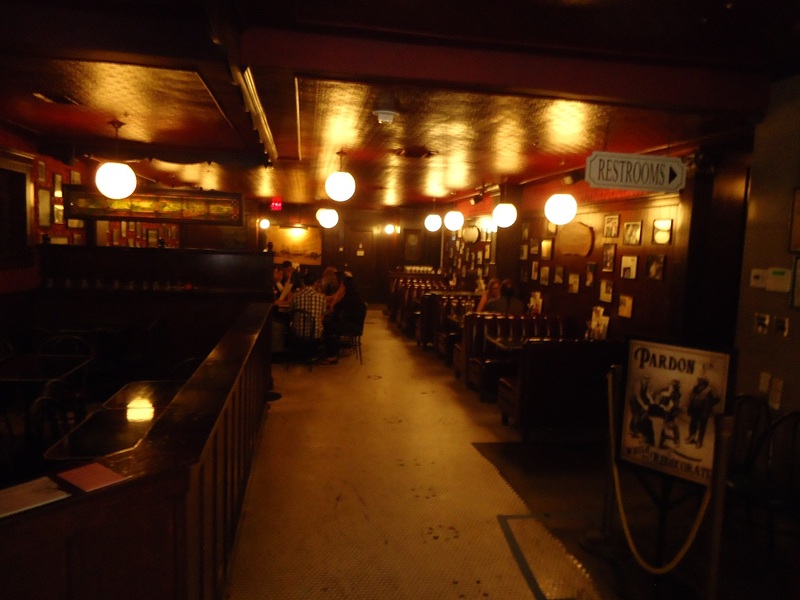 The joint also lays claim to being the originator of the french dip sandwich, an honor hotly contested by Phillipe’s on Alameda, also in business since 1908. 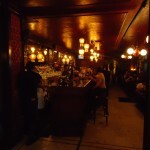 One way or the other, Cole’s now serves up very tasty cocktails, dips and brews in a laid back and historic location. 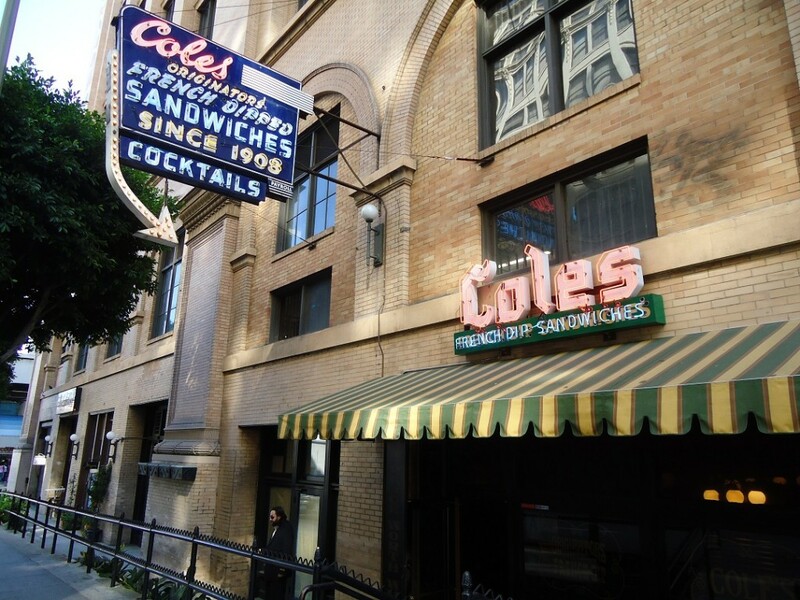 The classic Cole’s experience usually includes one of their famous french dips (beef, turkey, pastrami, or pork), a basket of spicy garlic fries and a classic side like potato salad, “Cole’s Slaw”, or a signature atomic (spicy) pickle. 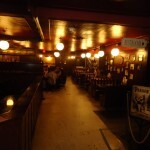 A favorite bar food from the old days that they continue to make are the spicy pickled eggs on sale for a dollar each. Coles is well known for their Old Fashioned (scotch or rye whiskey) cocktails but a host of other well made drinks are close at hand. If you request, and leave an ID, they will make your Moscow or Irish Mule a traditional copper cup. The same goes for Mint Juleps, complete with the proper silver tumbler. 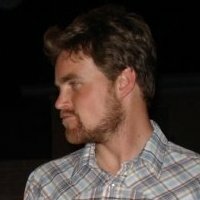 Beers and wines are not Cole’s strong suit, but a decent selection of craft and domestic beers are available along with a couple choices of mid range wines.